A “pouty” full lip may be achieved with lip augmentation. Highlighting the lip border reduces those nuisance lines where unwanted lipstick travels. There is a long list of different fillers, which are FDA approved for lip augmentation. Most of the injectable fillers do not last with time. We currently favor hyaluronic acids. Results are very dependent on injection technique and the amount of product used. A combination of ice and local anesthesia within the product make this a quick and comfortable procedure with limited downtime. 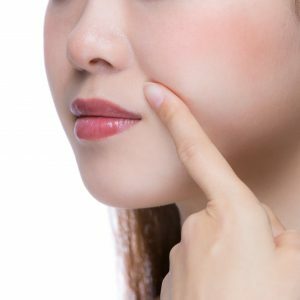 Fat can also be used to augment the lip. Fat is harvested from the umbilical area or thigh and injected under the surface. Fat tissue is composed of fat cells held by a network of connective tissue strands and webs-after implantation. Current techniques emphasize gentle fat harvesting and placement of fine filaments. This should promote increased survival of the fat grafts and better long-term improvement. Over-correction and multiple procedures are necessary to achieve a satisfactory long-term correction.